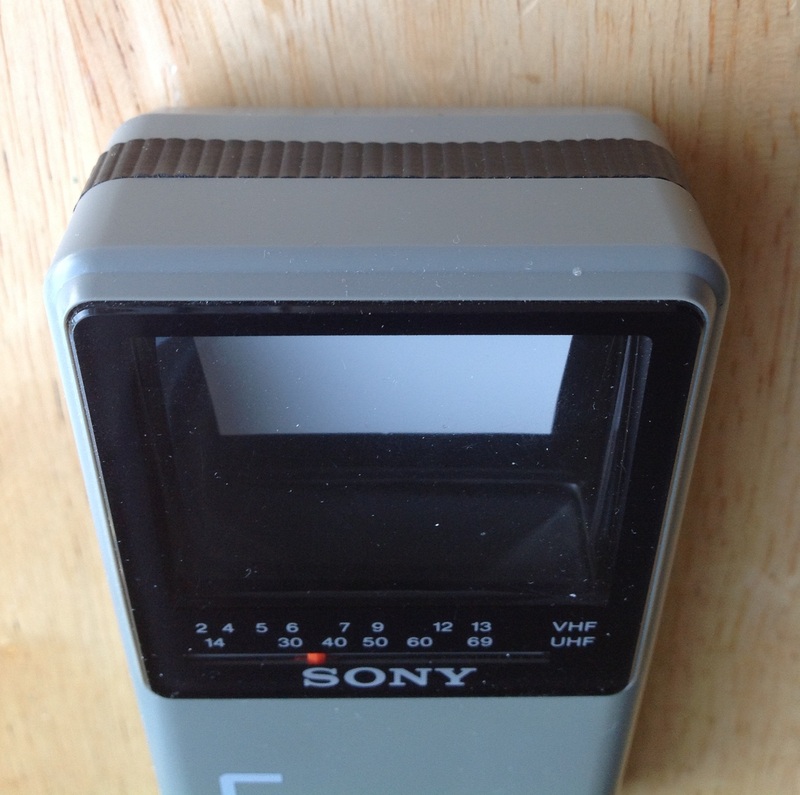 Today we return to the extravagant world of 1980s handheld TVs. 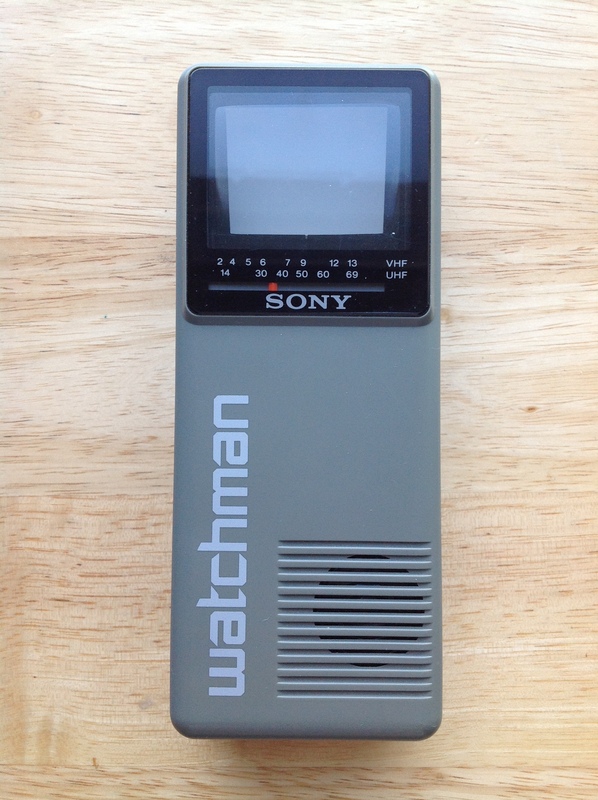 This is my Sony Watchman FD-10A and Sony Watchman FD-30A, two of Sony’s attempts to create “Watchman” CRT handheld TVs in the 1980s. 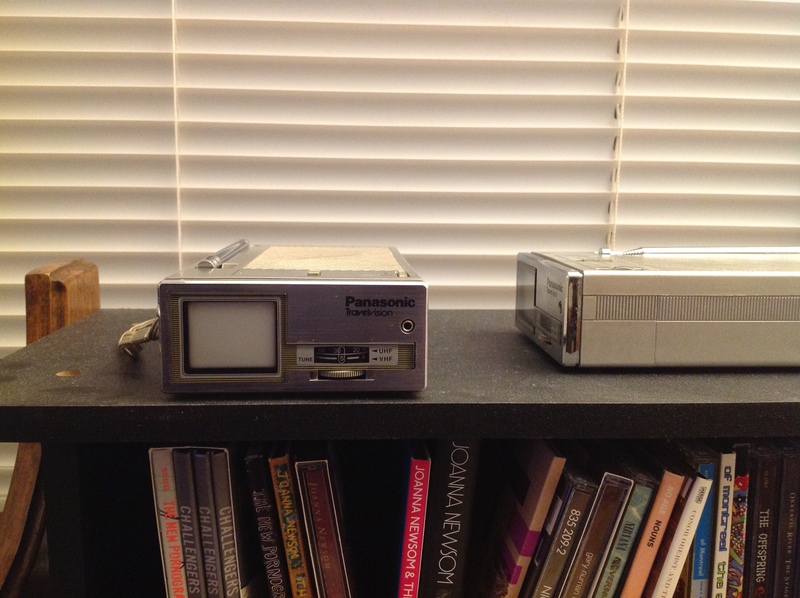 The FD-10A, dating from 1987 is on the left and the FD-30A, dating from 1984 is on the right. 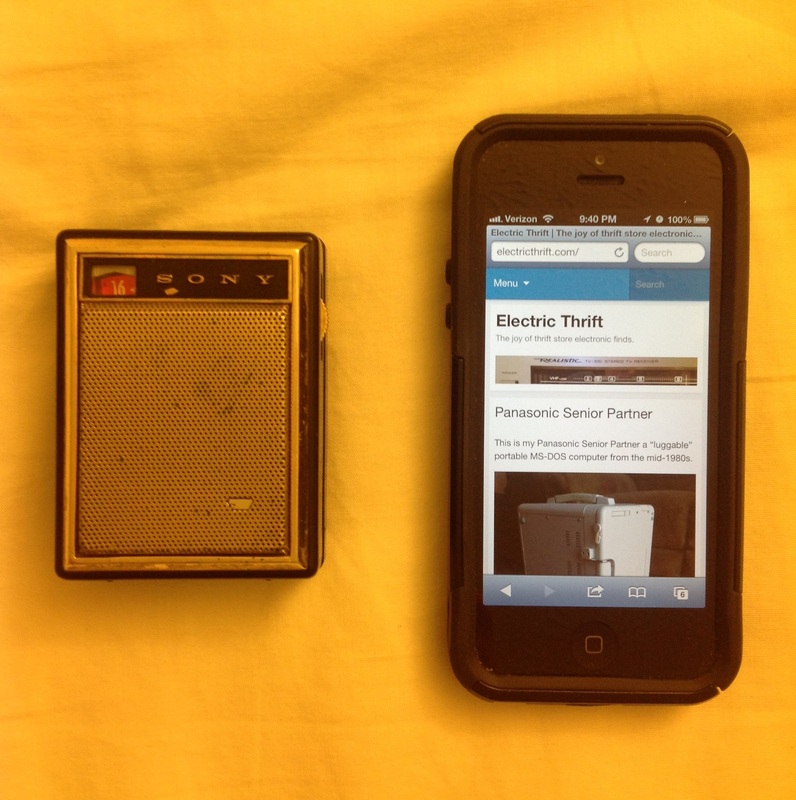 They both still work, though the FD-30A seems to have a loose connection somewhere and sometimes will not turn on after you pull the antenna out. As you can see, they are both black and white sets. 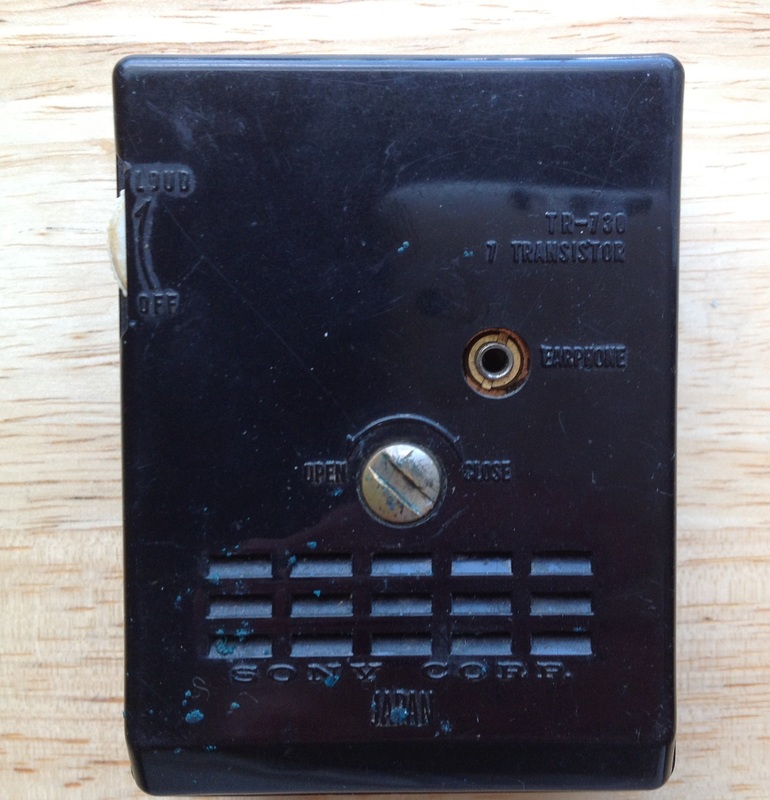 My father found the FD-10A at a thrift store some years ago and I believe I found the FD-30A at Village Thrift sometime in the past two years or so. The most distinctive thing about these TVs is what they’ve done with the CRT. On a typical CRT the electron gun is located behind the viewing surface you’re looking at. The gun is firing at a surface of phosphors that are glowing on the other side of the glass tube you’re looking into. There’s basically a straight line between your eyes, the surface of the picture tube, the glowing phosphors, and the electron gun. Take a look at these Panasonic Travelvision handheld TVs and you can see the ergonomic issue this creates. The shape you get from putting a tiny conventional CRT into a handheld TV ends up with the screen on the short end of a long case. Holding that up to your face is very unnatural. If you’re sitting down you end up putting the TV in your lap and craning your head down to look at it. If you really wanted to hold it up to your face you would have to hold it like a telescope. The ingenious CRT that these Watchman units use solves this problem. Their CRTs have a window built into the top of the wide end of the tube and the electron gun fires at a curved surface of phosphors located under the window. See that? You’re actually looking down into the CRT there. So, the electron gun ends up firing perpendicular to the viewers eyes onto the curved white area with the phosphors. 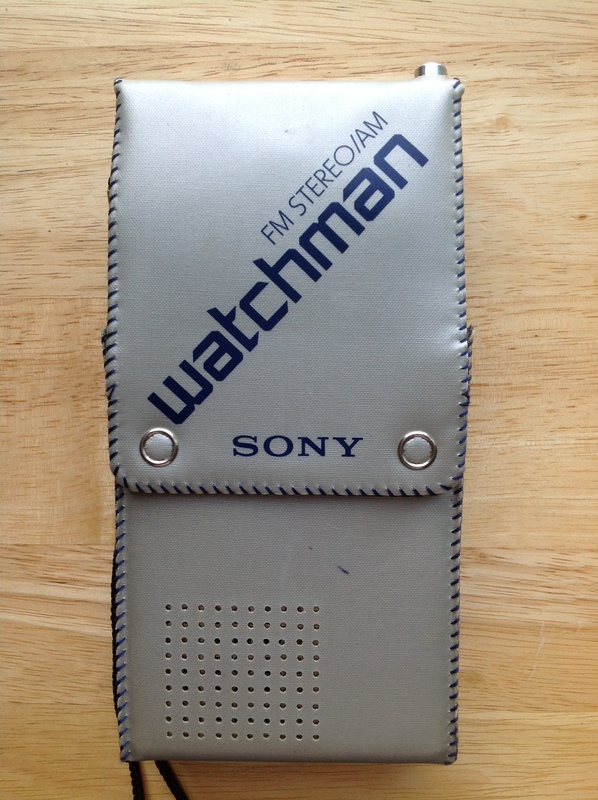 While this does not do great things for the geometry of the resulting image it does mean that you can hold the Watchman in a much ore natural way as you would a portable radio or a Game Boy with your hands down near the Watchman logo and the screen facing your eyes. This must have been difficult to design. 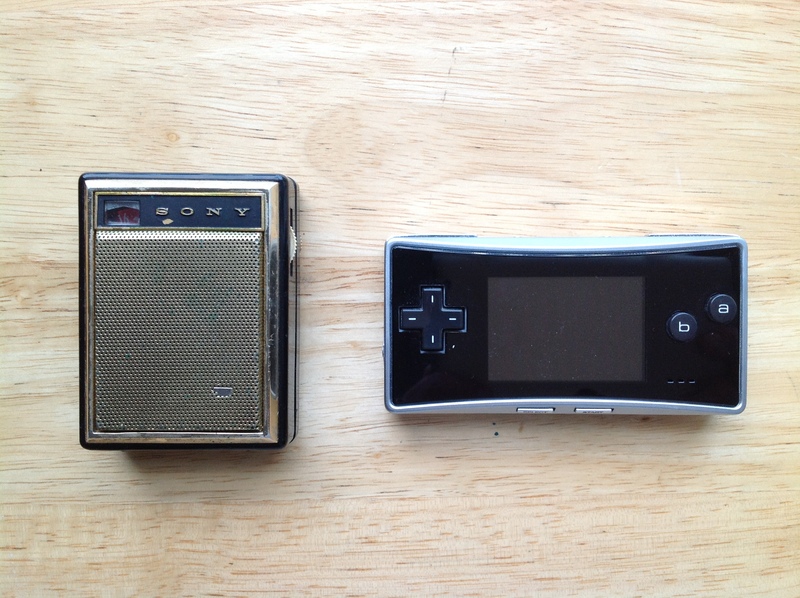 Clearly this is from the era people remember when Sony was doing amazing things miniaturizing electronics. 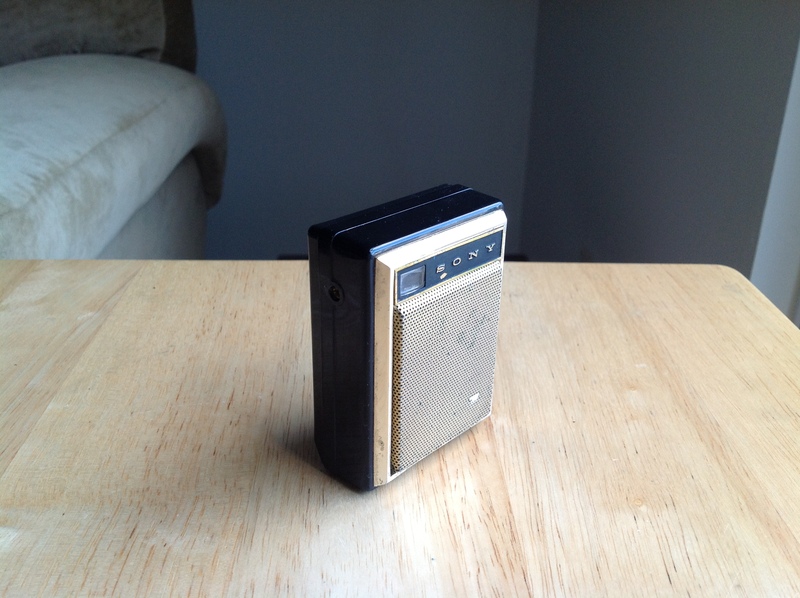 The FD-10A is a fairly basic model that only has VHF/UHF and no other fancy do-dads like AM/FM or a video-in jack. 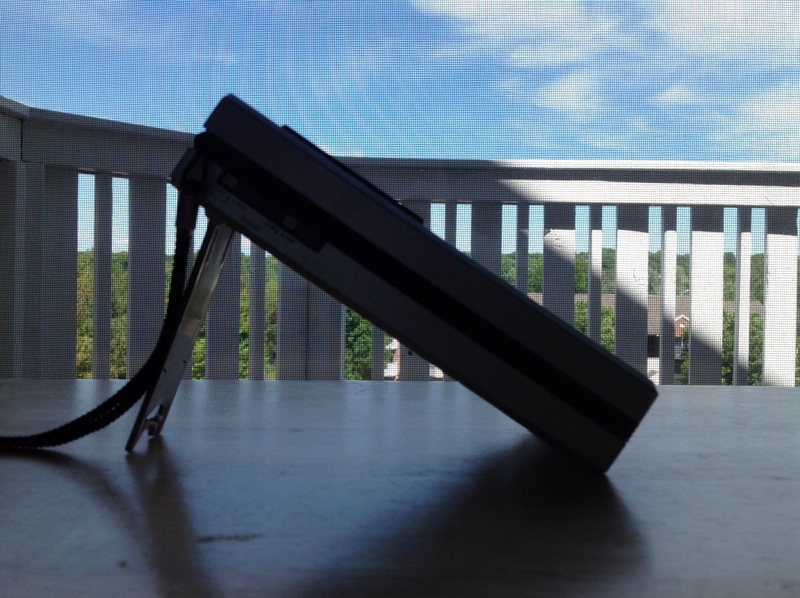 As a result though it’s more lightweight and somewhat smaller than the FD-30A. 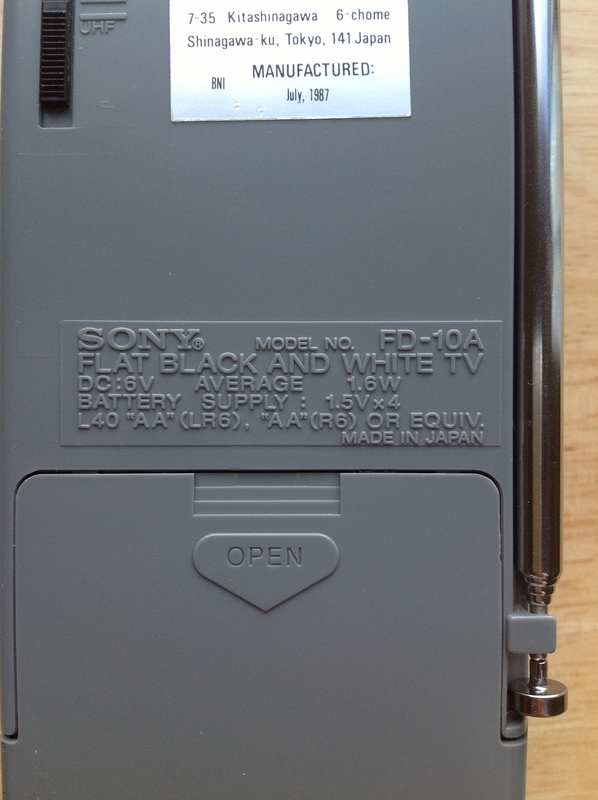 Other than an earphone jack, just about the only feature that the FD-10A has is a switch that allows you to save the batteries by only listening to TV sound. 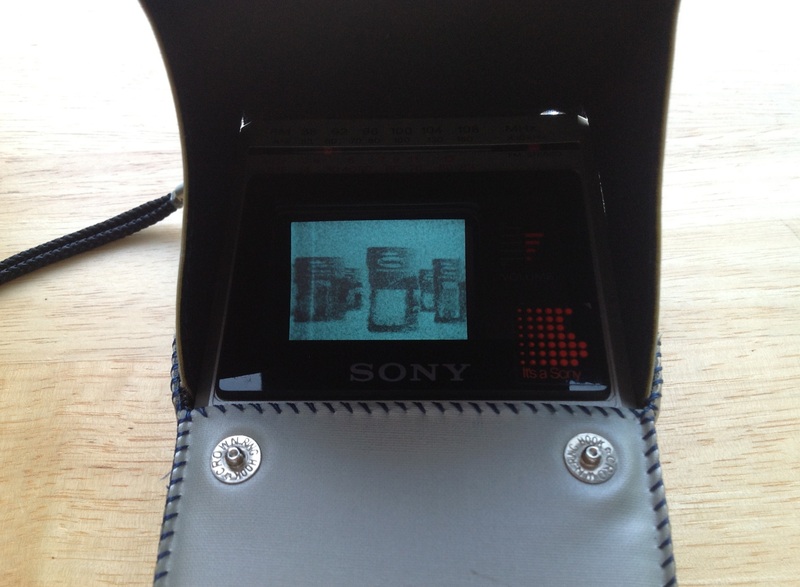 I used the FD-10A to watch the end of analog TV on June 12, 2009. Here is an image of Cleveland’s Channel 19, WOIO-TV taken before the 10AM cutoff and moments after. At the moment of the cutoff I took a blurry and unusable movie with my Blackberry. While some channels made a big deal about the switchover to digital on WOIO there was no fanfare other than a text explanation that scrolled very fast up the screen, followed the by the static you see in the second picture. The FD-30A is a more full-featured set but it’s heavier and larger than the FD-10A. 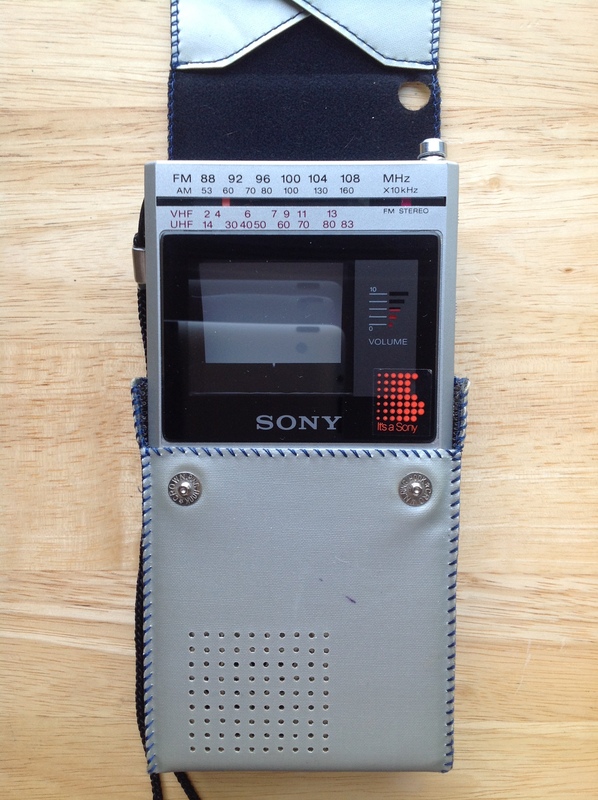 It has a video-in jack (using a normal stereo Y-cable), AM/FM radio (with FM stereo), a DC power input, and a kickstand. 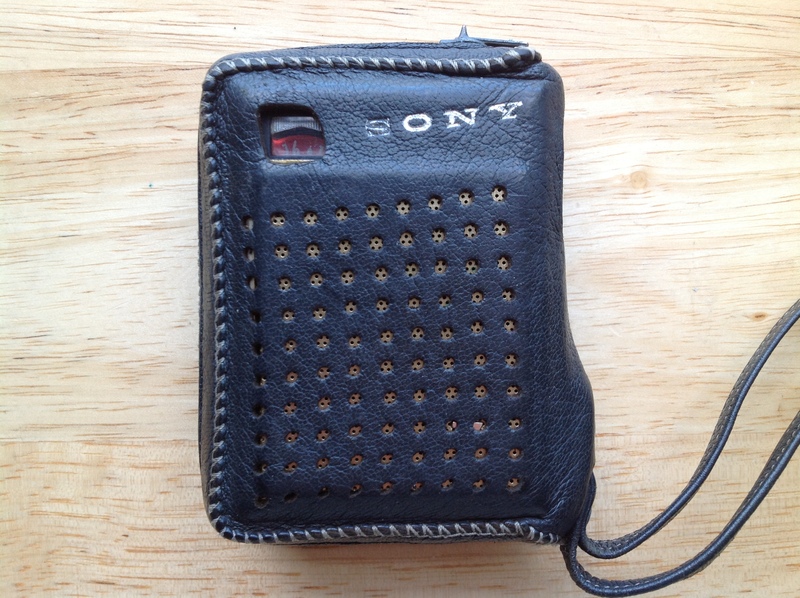 This FD-30A also came with a cloth case. 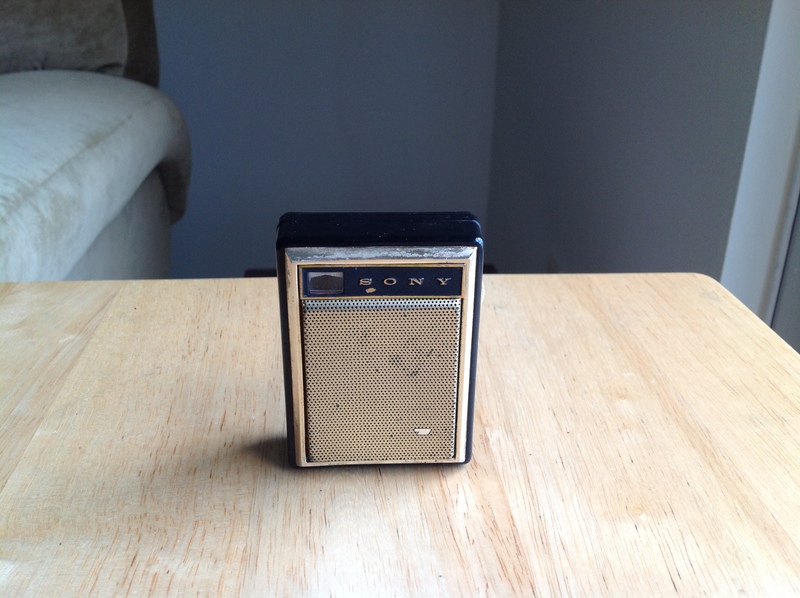 All of the controls are accessible through the sides of the case so when the case is closed you can easily use the FD-30A as a rather weighty AM/FM radio. 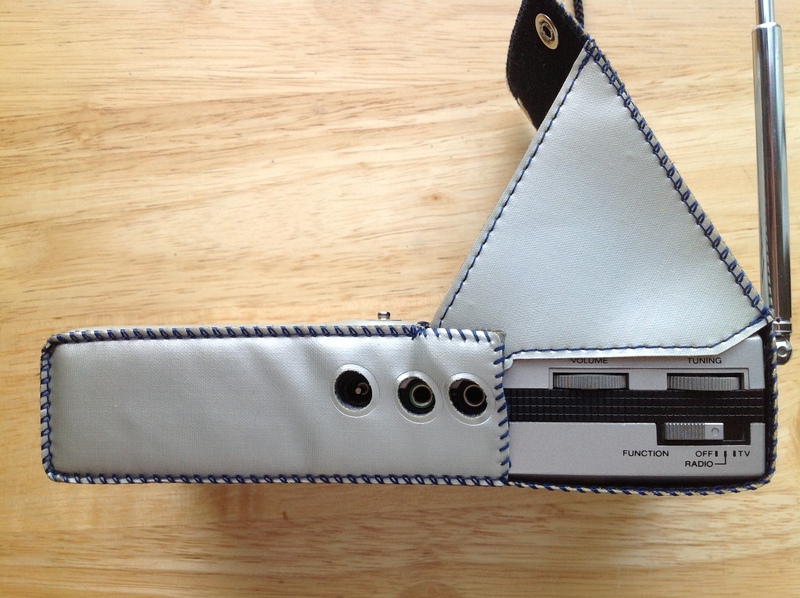 The real party piece of the case though is that the cover can become a hood by unfolding flaps that attach to Velcro on either side of the Sony logo. I supposed this might help in bright Sun conditions, but I couldn’t see using this thing in the rain at all. 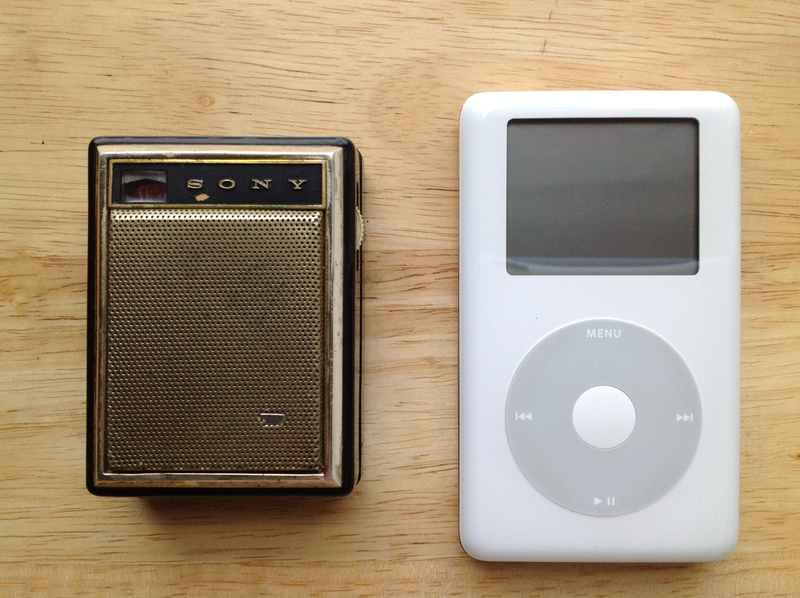 One thing I like to think about when I collect items like this is what would people at the time thought about them? 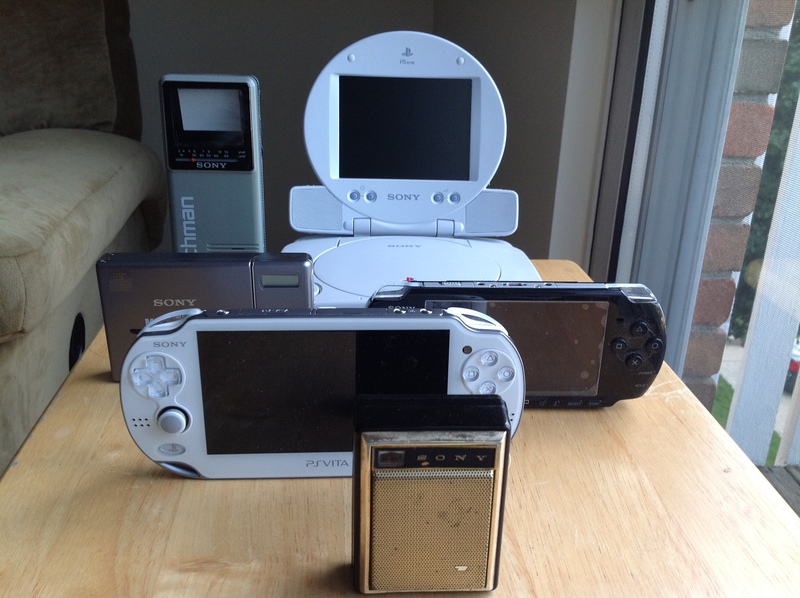 That is to say, if you walked into an electronics store in the 1980s and wished to purchase a handheld TV with your hard-earned money, which one should you have bought? 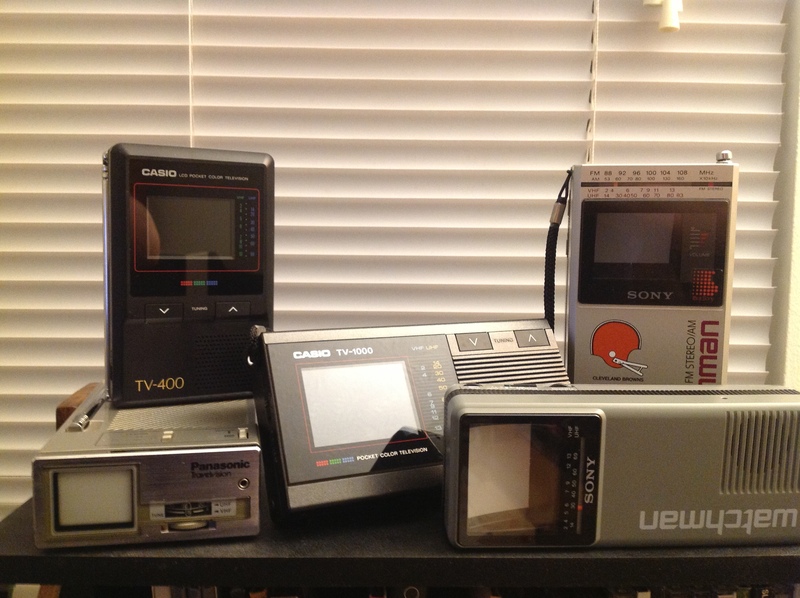 As a collector, I love the styling on the Casios such as the TV-400 and the TV-1000 here. 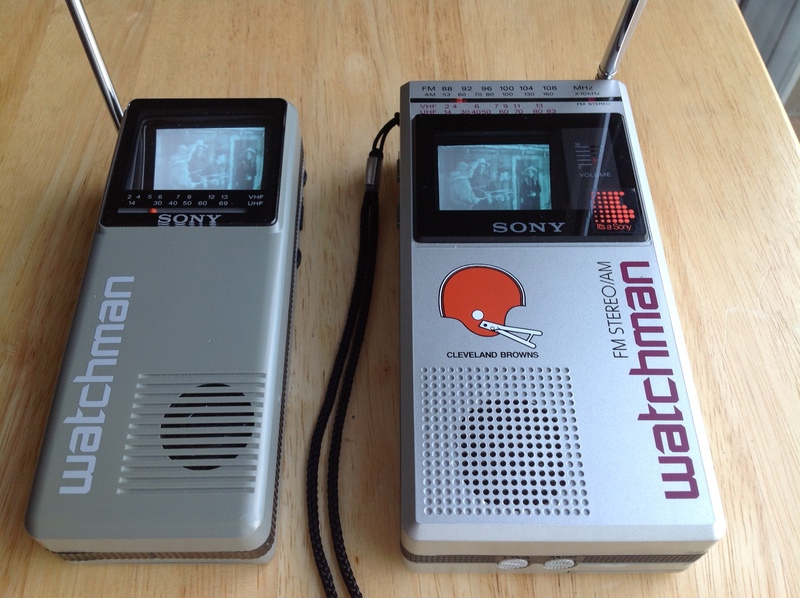 These Sony Watchman units do not have the same 80s flair that the Casio do. 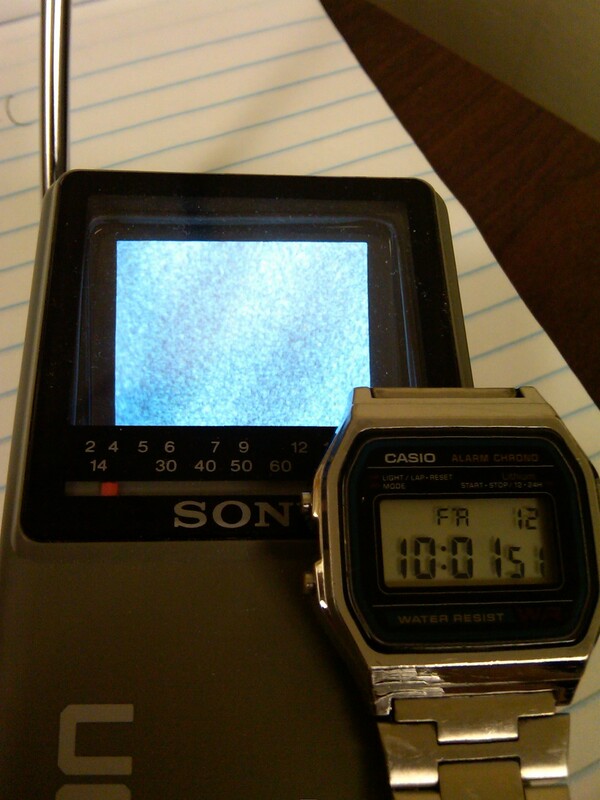 I’m sure salespeople hawking the Casios would have been buzzing about the stunning newness of LCD technology and the significant advance of on-screen electronic tuning. In reality, those Casios are awful. Even if you look past the inherent awfulness of first generation passive-matrix LCDs screens the electronic tuning is disturbingly bad. 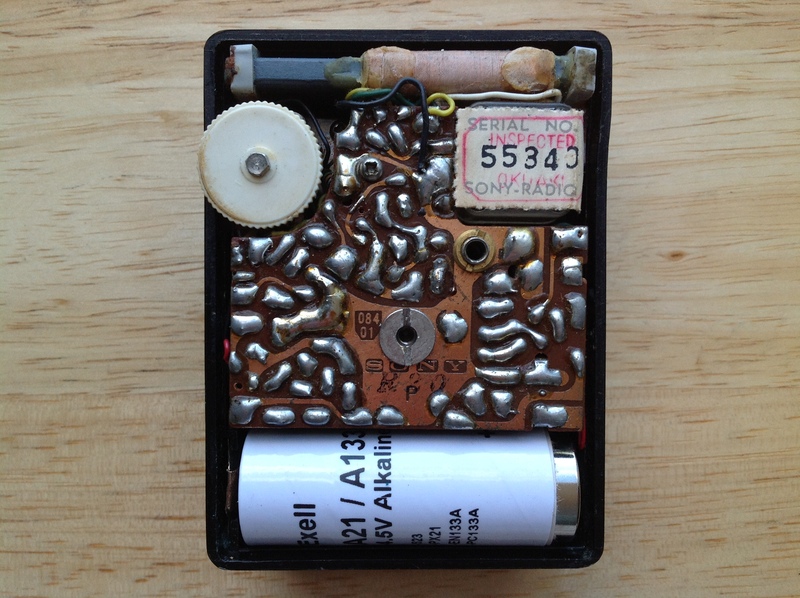 Anyone who has ever tuned in analog TV knows that you always have to fiddle with the tuning. There’s no way to do that with the Casios. If they don’t find your desired channel, they just tune right on by. 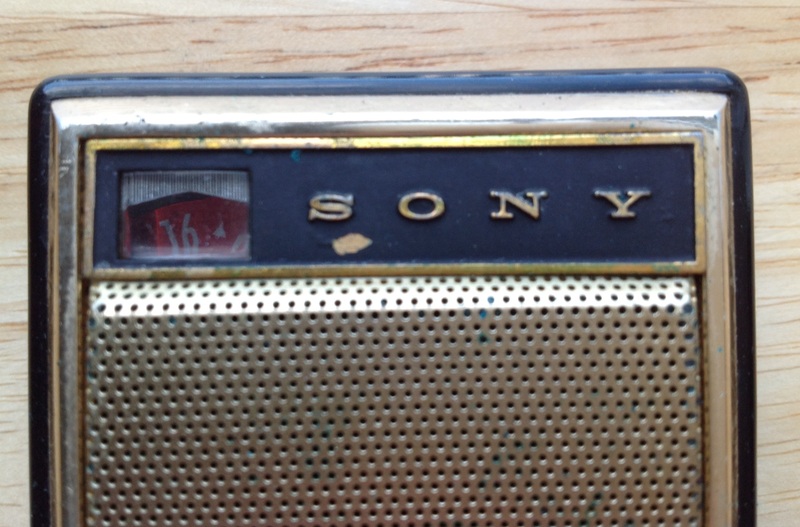 So, what you really want is a TV with analog tuning. I think you also want a CRT. 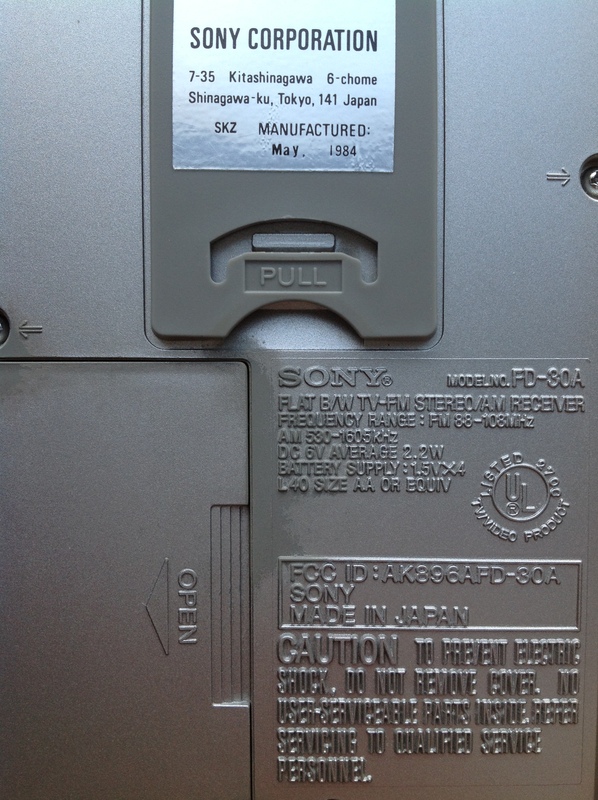 I still need to see what a quality 80s active-matrix LCD looks like but even so I don’t think the LCD technology of the time could hold a candle to the contrast and crispness of a CRT. 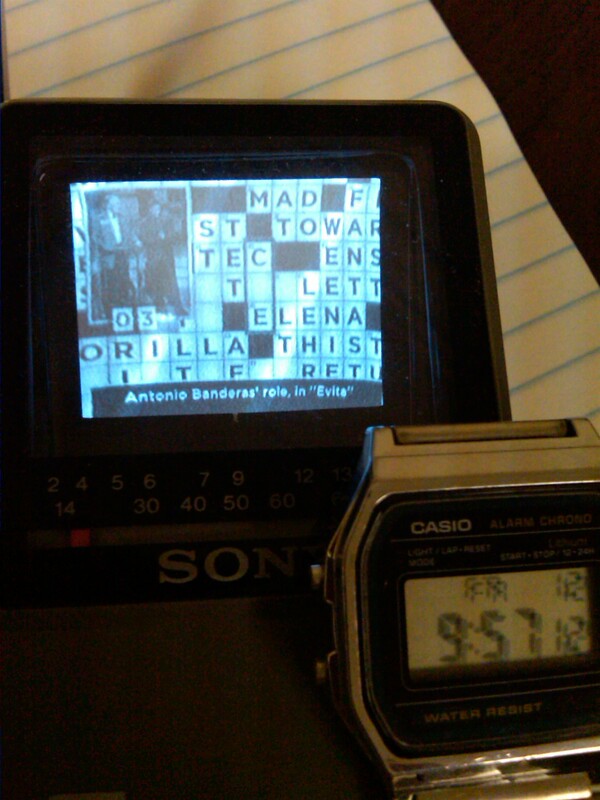 Even if those CRT handheld TVs ate batteries like vampires, I think the picture quality would still be worth it. Personally, I would have bought a FD-10A. It’s simple to operate and it’s more convenient than the larger and heavier FD-30A. 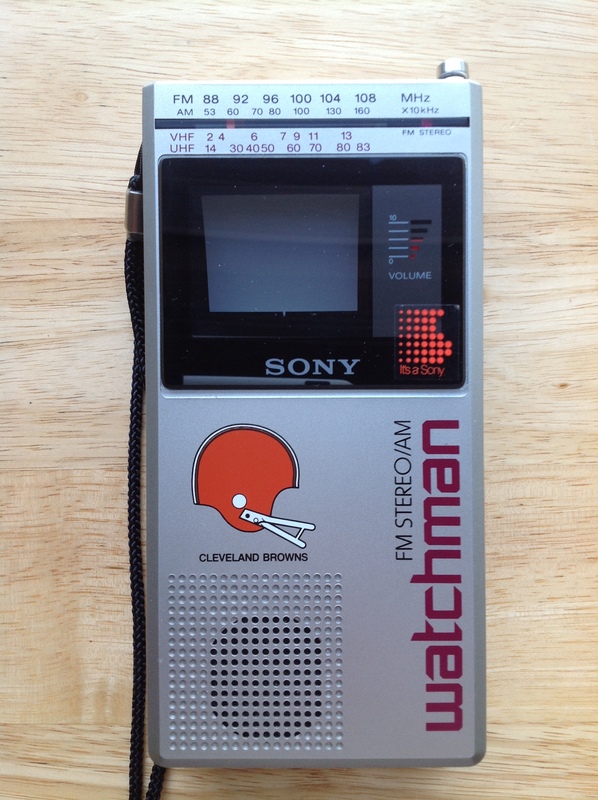 But then again, if this was the 80s and you were blowing a wad of cash on something as decadent as a handheld TV, you probably want the FD-30A with all of it’s bells and whistles.